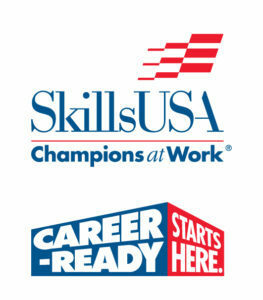 Join us at 8:15 a.m. and/or 12:30 p.m. to learn about the benefits of participating in SkillsUSA-a national career and technical student organization. SkillsUSA serves more than 395,000 students, instructors and alumni annually. SkillsUSA has served more than 13.5 million annual members cumulatively since 1965. SkillsUSA improves the quality of our nation’s future skilled workforce through the development of Framework skills that include personal, workplace and technical skills grounded in academics.